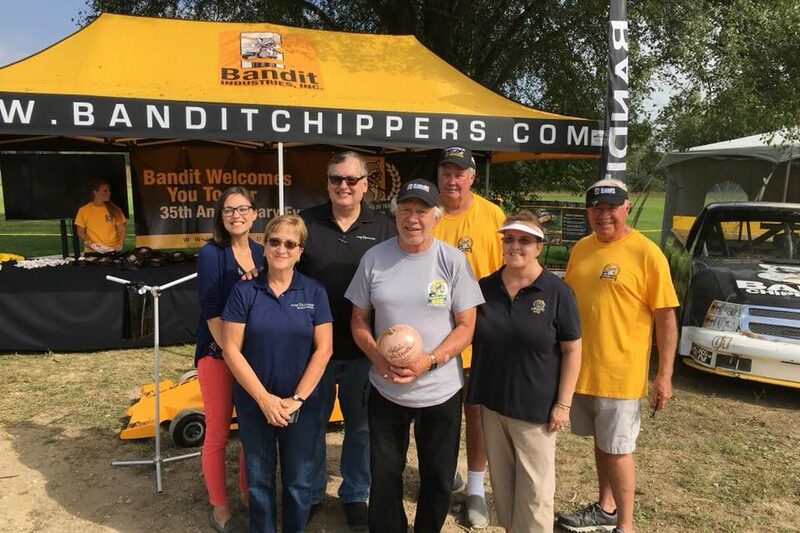 Bandit Industries, Inc. celebrated their 35th anniversary this weekend, inviting the surrounding community to join in on the festivities through their annual community day event. Every year Bandit Industries, Inc. invites the local community to visit their facility, but this year the celebration was even more momentous as the company celebrated their 35th anniversary. Tours of the facilities took place from 10am to 2pm on Saturday, September 15th, and visitors could also watch demonstrations throughout the day of the company’s various wood chippers and stump grinders. The company got its start in 1983, producing brush chippers and stump grinders, but over the years the company has continued to grow and expand its offerings. Currently, Bandit Industries, Inc. has two additional expansions planned and we’re excited to see how they continue to grow as an employee owned business. Bandit Industries, Inc. just recently made the announcement that they were going to become 100% employee owned this year which they plan to do on November 1st. On that date, the company will transition ownership to its employees through an Employee Stock Option Program. Bandit Industries, Inc. is one of two companies in the Middle Michigan region specializing in wood chippers and their market share continues to grow. In fact, most of the wood chippers produced on a global-level are made here in Isabella County. Middle Michigan Development Corporation presented Bandit Industries, Inc. with a commemorative globe to honor their 35th anniversary and commitment to doing business within the Middle Michigan region.